What are the benefits of being in the Honors College? When should I apply/When will I hear a decision? Are some elements of the application more important than others? What if I apply and I am not accepted? Does the Honors College offer scholarships? Will I be inundated with work just because I want a more challenging curriculum? I want to study (insert major here). Can I do that in the Honors College? What if I am planning to study abroad? Is special housing available for Honors students? 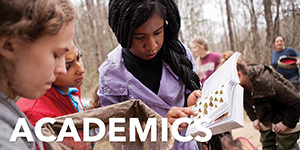 What sort of graduate schools do Honors College students attend? Do they receive national scholarships or fellowships? Will having been in the Honors College benefit me after graduation? There isn't an Honors Information Session available on the date that I want to visit. What do I do? During my visit to the College of Charleston, I would like to sit in on an Honors class. Is that an option? Can I talk with a current College of Charleston Honors Student? You should apply to Honors at the same time you apply to the College of Charleston--there is a section of the application to elect an interest in Honors. Learn more about the application process by visiting the Admissions page. If you have already applied to the College of Charleston and did not indicate an interest in the Honors College, please email us at honors@cofc.edu to discover your next steps. When should I apply? When will I hear a decision? For priority consideration, you should apply and submit all supporting documents by December 1. While the Honors College will consider applications completed after December 1, admission to Honors is extremely competitive, and we encourage all qualified candidates to apply as early as possible. The Honors College begins notifying early decision applicants of their Honors College admission decision in early December and early action applicants of their decision by the end of January. Decisions for regular notification applicants are released on a rolling basis after those applications are completed. External Transfer Students: Apply by December 1 for spring semester admission or by June 1 for fall semester admission. 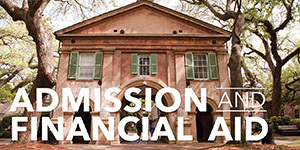 Campus Transfer (CofC) Students: Apply by May 15 for fall semester admission. See more details on the transfer application process here. Are some of the elements of the application more important than others? Each application undergoes a holistic review by various members of the Honors Committee. Our first priority of the committee is to determine whether or not a student is academically prepared to be successful in the Honors College. The next step is to decide if the student is the right fit for the Honors College. Because the vast majority of our applicants present with above-average GPAs and standardized test scores, an exceptional essay, a persuasive and authentic recommendation from a teacher, and a professionally-formatted resume that displays your interests, involvement, and accomplishments are the best way to set yourself apart from other candidates in consideration. What if I apply and am not accepted? Students who are not admitted to the Honors College are still eligible for admission to the College of Charleston. The Honors College also accepts applications from current CofC students after completing two semesters of coursework at the College. Does the Honors College offer any scholarships? Yes, we offer a limited number of selective scholarships to incoming freshmen. As long as you submit your application and all of your supplemental documents by December 1, you are automatically considered for these awards. Please visit the scholarships portion of the website for more information on these specific awards. With few exceptions, all Honors College students receive some form of institutional merit scholarship. For additional information on the general scholarship and financial aid process, please visit the Office of Financial Aid. “[There is an] Intense focus on interdisciplinary education and hands-on involvement through research and internships.” –Dylan M.
”The academics, especially Beyond George Street, have been very helpful in establishing a foundation for my future goals and post-graduation plans. Through BGS I learned how to become a successful and assertive student in planning, communicating with professors, and establishing a network for myself. This has provided me with the confidence to go out and establish myself within my major department and take advantage of all of the opportunities provided to me” –Elizabeth K.
“My classes are small enough for me to really engage with my professors, who all know me by name.” –Joseph Q. 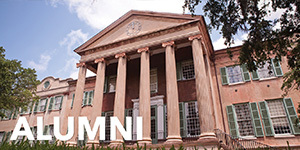 The Honors College complements each and every major offered at the College of Charleston. Pre-Health students enjoy the privilege of our close relationship with the Medical University of South Carolina (MUSC is located just blocks from the College of Charleston); Arts, Humanities, and Social Science students reap the benefits of a city as culturally engaged as Charleston; and Business students have the opportunity to participate in the Honors Program in Business, facilitating meaningful connections within their discipline. Great! Many students who study abroad consider it a cornerstone of their college experience and that is no different for Honors students. About 60% of our students study abroad at least once by the time they graduate. Yes. 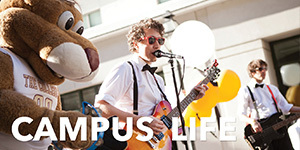 To learn more about the Honors Living-Learning Community, please visit the Student Life portion of the website. Students receiving a scholarship through the Honors College are required to live in Honors housing for their first year and are therefore given first priority for placements. Following that, placement in Honors housing is completed based on when you submit your enrollment and housing deposits. Our students matriculate to some of the finest institutions in the country for their post-graduate study. Recent acceptances include Yale Law School, Harvard Medical School, Emory University Medical and Graduate Schools, New York University Law School, George Washington University, Columbia University, American University, Wake Forest School of Medicine and Duke University School of Medicine. Additionally, numerous graduates (and current students!) have received national recognition through awards like the Fulbright, Goldwater, Hollings, or Rotary. One of the largest benefits of participating in the Honors College is the close relationship with the Office of Nationally Competitive Awards. 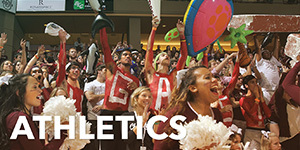 For more information on the Office of Nationally Competitive Awards, and to learn more about CofC students who have earned such prestigious distinction, please visit their website. The distinction of an “Honors College” graduate on a resume or CV is only ever a benefit. This can demonstrate to prospective employers or graduate schools that you have gone above and beyond expectation, and that you choose to challenge yourself in new ways. Aside from just the distinction in name, the Honors College instills a sense of enthusiasm for the pursuit of knowledge. Your education is “learning how to learn” rather than a set of particular skills or a trade, and therefore you can adapt easily in any industry. Please email honors@cofc.edu if you would like to set up an individual appointment. Walk-in appointments are acceptable, but students with appointments will be given first priority. The Honors College is not available for individual appointments on Saturdays or Sundays. At this time, we do not offer visiting students the option to sit in on a current Honors class. 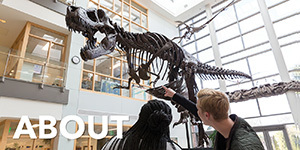 However, because we know that experiencing a classroom environment is often times integral to the visit experience, we are pleased to offer students the chance to participate in a regular class during their visit. Please contact the Office of Admission, should you want to sit in on a class. Certainly. If you would like to speak with someone during your visit, please let us know at least one week in advance. If you would prefer to be contacted by email or phone, please contact honors@cofc.edu and a current student will be in touch with you.